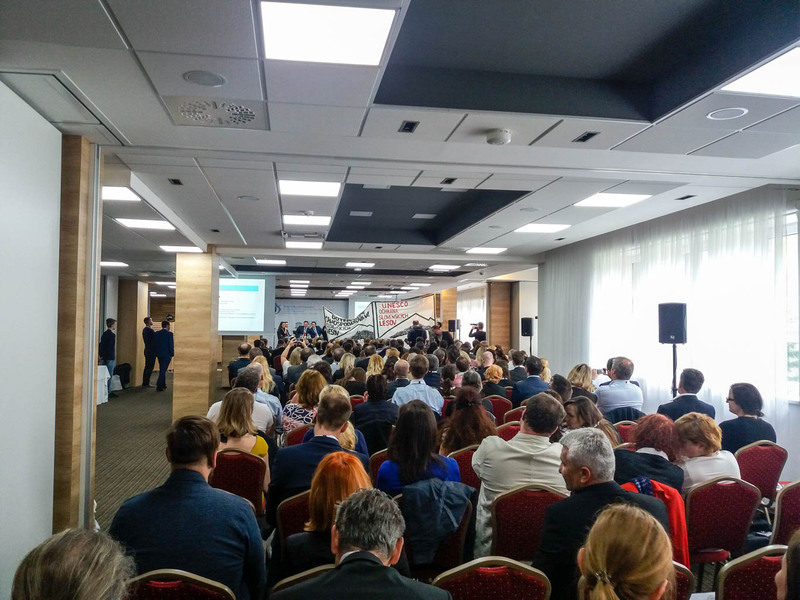 On 5 May Iryna Shchoka visited Bardejov, Slovakia to participate in the conference ” Benefits Beyond inscriptions: leveraging UNESCO brand for sustainable tourism development in Central European countries”. Among other, it was also a good opportunity to meet partners, exchange ideas and discuss sustainable tourism development projects, considering wilderness principles and nature heritage preservation. It was mentioned by participants, and European Wilderness Society strongly supports the approach of necessity to develop and introduce Sustainable tourism management plans for each respective protected area in each country in order to save our natural treasures for future generations. We also hope that cooperation agreement, signed on this conference between Romania and Ukraine will contribute properly to this process.